LeptiBurn Review (UPDATED 2019): Don't Buy Before You Read This! 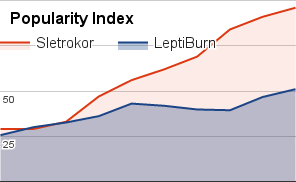 LeptiBurn is a weight loss pill made to burn fat by helping control the hunger hormone leptin. They claim that with just one bottle you can lose up to 10 pounds. By adding diet and exercise, the company mentions that you’ll be able to continue losing weight by adding LeptiBurn. This is because according to them, when you’re cutting calories, leptin is reduced by 50%. This supplement is made to help keep leptin production high, so you can keep losing weight without feeling extreme hunger. So is this really an effective product? What kinds of weight loss effects are possible, if any? This LeptiBurn review will help you understand whether or not this supplement is a good decision for weight loss. Green Tea Extract Leaf: A common tea that’s rich in antioxidants. It’s only proven weight loss benefits come from caffeine, but since this ingredient is free of stimulants, this form of green tea has its caffeine stripped away. They also confirmed that there have been 37 cases of people experiencing liver damage with this extract. Since there are no weight loss benefits outside of the caffeine, it’s unknown why the company has added this with its caffeine missing. The possibility for side effects may be high, as this ingredient is added in the strength of 500 mg. A 2 serving portion provides a full gram of green tea leaf extract. This also means that most of this supplement is this ingredient. There is no weight loss benefit seen in green tea when it’s added in this form. IGOB131, Irvingia Gabonensis Extract: A patented form of African mango which is used to improve metabolism and increase leptin. It has been shown to be effective, but it’s unknown if the patented form is any better. The only studies performed were by the company who makes it, so there’s a potential for bias. 5-Hydroxytryptohpan from Griffonia Simplicifolia Extract: This African shrub contains the chemical 5-HTP, which is sued to create serotonin for improved mood. Stomach cramps, gas, and nausea. Irritability, mood swings, and erratic behavior. Irregular heartbeat, anxiety, and tremors. When using ingredients that change serotonin levels in this high amount, it’s possible for there to be potential side effects. That’s why it’s often advised to only take this ingredient under the supervision of a certified medical practitioner. Only they can provide an accurate dose for one’s own needs. Increased serotonin may actually have the opposite intended effect. Instead of improvising mood, it may potentially cause mood swings and feelings of depression. So it’s not a very good ingredient, and there’s a lack of research to prove it has any effect at all. It’s possible for it to lead to toxic effects as well. The added green tea has been shown to be potentially toxic in many studies. Also, 5-HTP needs to be carefully dosses in order to prevent possible side effects. The only truly useful ingredient added to this supplement is Irvingia Gabonensis, but overall the additives are either potentially unsafe or too weak to be considered a good weight loss tool. They also mention that just one month long supply will help people lost up to 10 pounds. Though it’s unknown if this is true or not, since they fail to provide any proof to back up these claims. It wouldn’t make sense for a bottle being able to drop 10 pounds repeatedly, since it’s likely this would lead to negative side effects if continued. Many of the ingredients are not strong enough to be priced this heavily. As you’ll see in the “Customer Opinions of LeptiBurn” section, customers have also failed to see any benefit from this supplement. One 30 day supply sells for $69. This makes it one of the priciest supplements available. Though it does have a useful ingredient in Irvingia Gabonensis, the rest are either potentially side effect causing, or not strong enough to produce real weight loss benefits. The added 5-HTP may actually cause unwanted side effects as well, and when dealing with ingredients like this, it’s important to watch for excess intake. It can potentially cause serious side effects like seizures, convulsions, and extreme headaches. There are also only a total of 4 active ingredients; the other 4 are added to provide texture to the capsules. Though green tea leaf extract can be purchased for cheaper elsewhere, and Aframomum melegueta seed has not been shown to have impressive weight loss results. For the price paid, one can find much better weight loss supplements. The company advertises a one year money back guarantee, but many customers mention they failed to have this honored. People also add that the customer support staff is rude, and that they often hang up or do not return calls or emails. People were also frustrated with the continued auto billing which automatically charges their credit cards each month. People have added that they would not have done business with the company, had they have known it would be this difficult to get a return. The company also fails to provide a full address, so it may be difficult to contact them. People failed to see any benefits at all, whether appetite suppression or fat loss. Many were disappointed and felt that there was no positive change at all. Some experienced side effects that include headaches, mood swings, and migraines. This might be due to the 5-HTP, which can increase serotonin production that may cause serotonin toxicity. This may also be an issue due to the added green tea extract. Studies have shown this ingredient may produce serious side effects that include liver toxicity. Also, those who tried getting a refund claimed the company did not honor their claims of a one year return policy. Conclusion – Does LeptiBurn Work? When considering LeptiBurn it’s important to keep in mind that 3 of its 4 active ingredients are either potentially unsafe or not well rounded enough to promote real weight loss. This brand does have an impressive return policy, and the marketing makes it seem like an ideal weight loss supplement. But as you saw in the reviews and ingredients list, this brand is underwhelming. Many customers also saw no weight loss benefits, and only side effects. When looking at weight loss supplements it’s important to find a product that has only natural ingredients, clinically studied ingredients which have been shown to be safe, and impressive customer testimonials. One such brand that stood out is 2019’s best, Sletrokor. Not only is there ingredients added which have been shown to be safe and effective for potent weight loss, but customers have left amazing reviews that show how well this supplement works. People continue to purchase this brand because it’s made by research backed ingredients that can promote healthy weight loss. 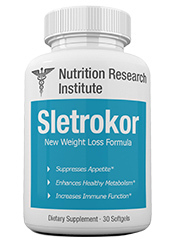 Sletrokor is even backed by a great 30 day money back guarantee. So you can use this supplement with no fears of losing out on money. This is ridiculous! Experiencing no significant effect, for what one is charged. One could probably get better results from some cheap supplements. The product is quite expensive and isn’t worth the price. I also doubt if it is truly as “natural and healthy” as claimed. My friend Palma don’t like LeptiBurn this company Facebook ad is poor. 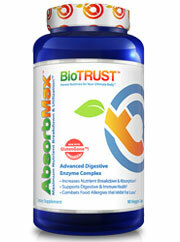 My friend had a bad response to this worthless supplement with upset digestive system and had an issue delivery!